The formation of planets, especially terrestrial planets like Earth, is a pretty dirty craftsmanship. Not everything works perfectly, and it creates a lot of mess. At least, it did so in the early Solar System, roughly 4.56 billion years ago. Nowadays, we can find evidence of this process in meteorites collected on Earth. These are pieces of early Solar System rocks which collided with each other, then left their orbit and eventually fell down on Earth. Analyses of meteorites are probably the most important jigsaw piece accessible for direct measurements in the laboratory, if we want to understand what happened during the chaotic beginnings of our home sweet home in the vast cosmos. And unfortunately, they’re a pretty weird bunch. Most of the meteorites, the so-called chondrites, contain lots of tiny spherules called chondrules, which are roughly millimeter sized. The rest of the rock is filled with very fine-grained dust particles, called matrix. As already indicated above, the early Solar System was a violent place (and sometimes, it is still today). After the first solid rocks condensed out of the gaseous/dusty protoplanetary disk around the young Sun they quickly grew in size and by chance collided with each other. 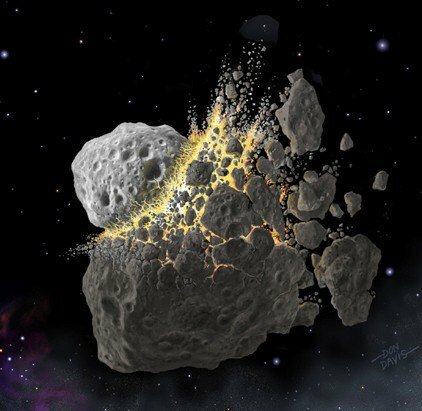 At some stage, the meteorite pieces we find on Earth today must have been assembled in asteroid-sized bodies, which broke apart from one or more collisions. To complicate the picture, the contained chondrules and the matrix have very specific features, which make one meteorite distinct from the other and let us order them in different families. 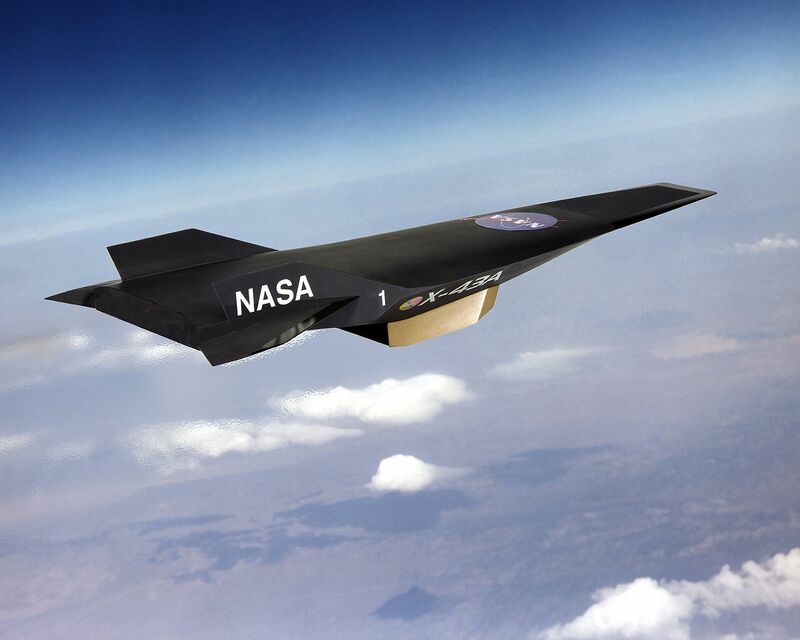 As the collisions obviously need to have been energetic enough to tear apart an enormous rock, the velocities with which the bodies hit each other are supposed to have been on the order of several km/s, that’s roughly the speed of one of those crazy X-43 hypersonic aircrafts of NASA’s Hyper-X program! 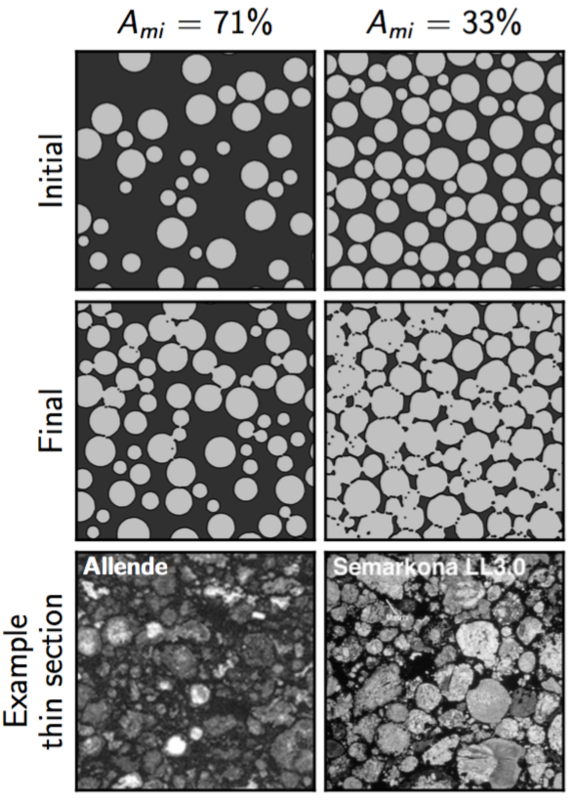 So, probably that did do “something” to the poor chondrules and the rocks inside the body, and the authors of the featured paper wanted to find out what exactly. You see their numerical approach in Figure 1, where they show how they simulated the asteroid collision in a computer experiment. The biggest problem is, however, we only have very little clue about how the source bodies of the collisions looked like. They can be nearly anything, from small to big, from very porous to extremely dense, filled with chondrules of all sizes or only one size, different compositions… You get the idea. Therefore, the authors performed a detailed parameter study taking into account all the knowledge we think we have, like the induced impact speeds highlighted above. With all the different parameters of their models they checked whether they could find some outcome of the simulations that resembled the structure of specific meteorite pieces on the mesoscale (neither micro – the size of individual grains or chondrules, nor macro – the scale of the whole asteroid, just a smooth inbetween – lots of chondrules, lots of grains, but just a tiny fraction of the overall asteroid body). The outcome is shown in Figure 2.